Full Diary specifications can be viewed on our downloads page. 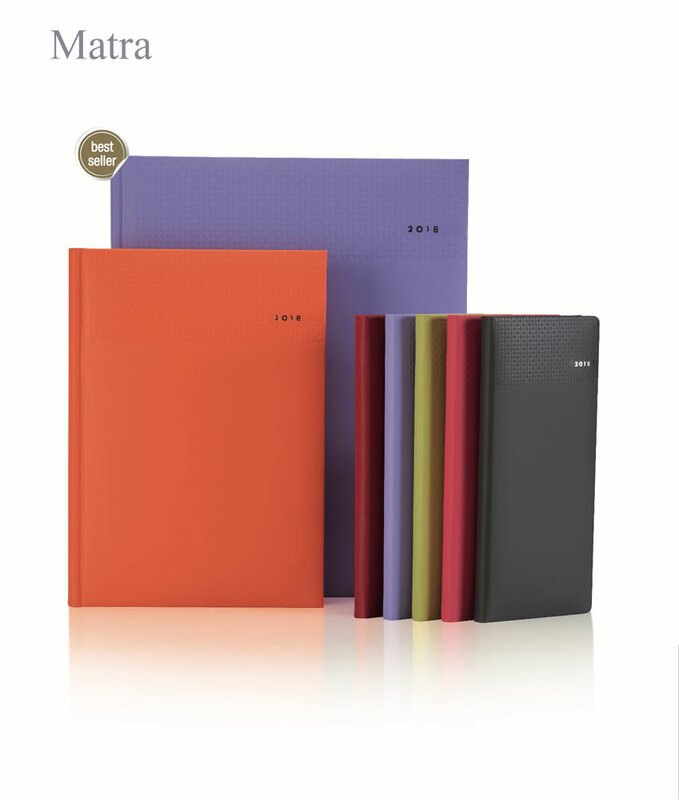 Tucson is soft to the touch yet durable and features our signature embossed date design finished off with luxurious silver or gilt edges depending on which page design you choose. 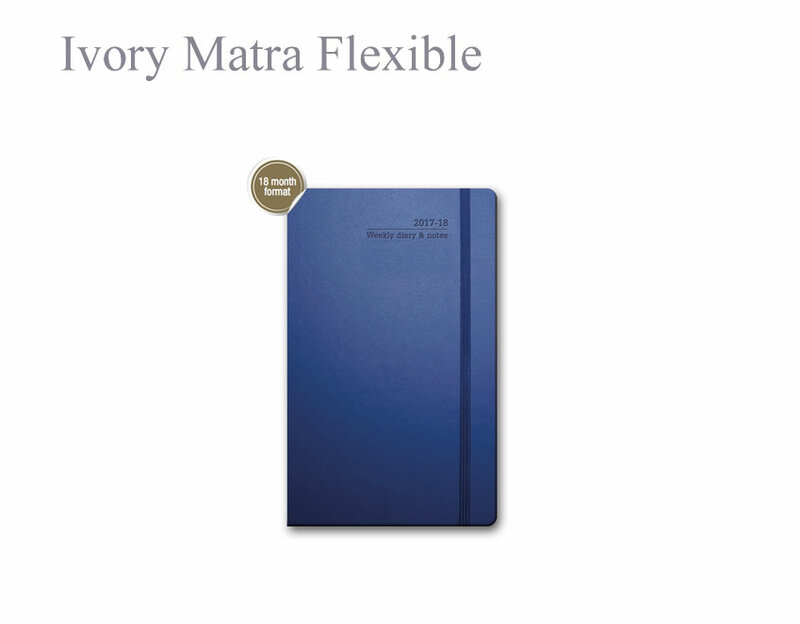 Matra has a durable matt effect cover featuring a unique blind and silver date design. Colombia. 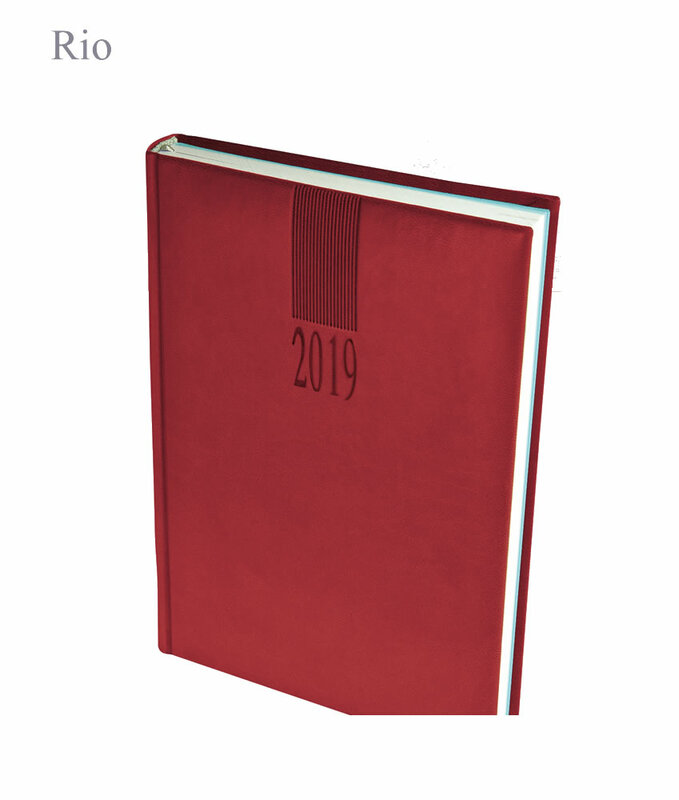 A classic diary featuring a smooth cover material completed with a blind embossed date and border available in white pages. Colombia. 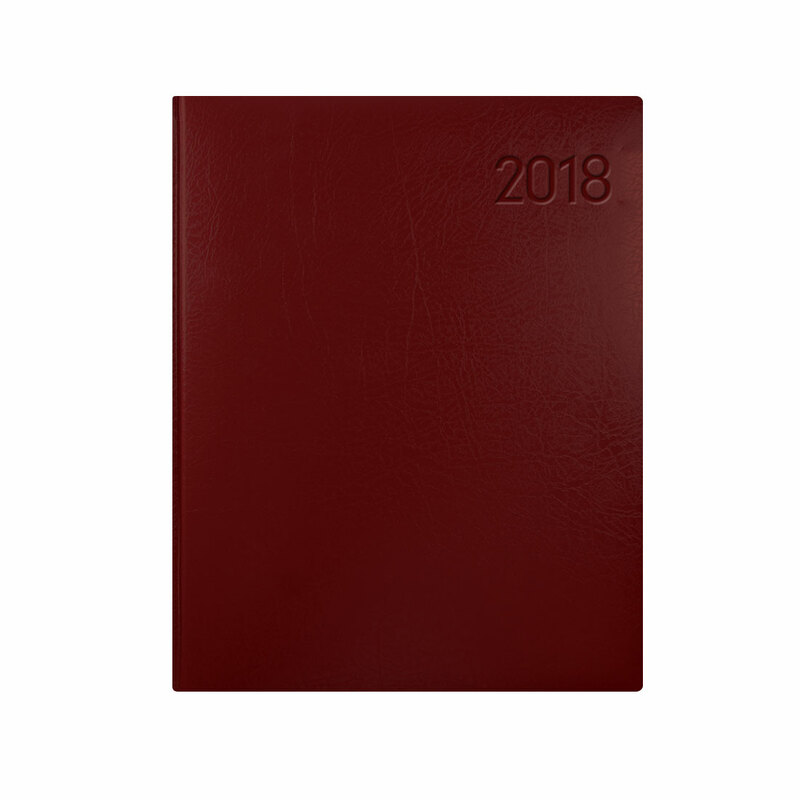 A classic diary design featuring a smooth cover material completed with a blind embossed date and border available in cream pages. Colombia De Luxe. 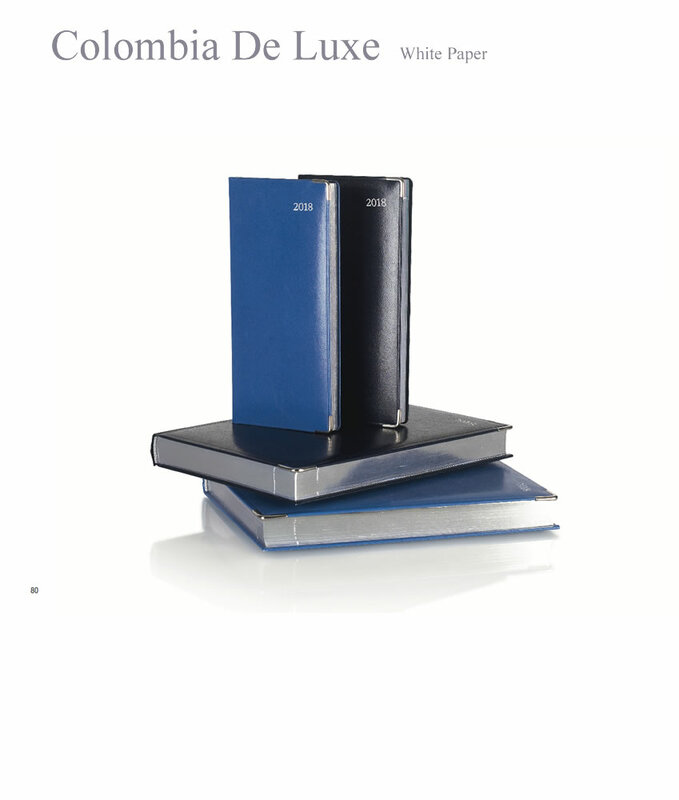 Classic cover design with a silver date design, silver page edges, matching silver metal corners and white pages. Colombia De Luxe. 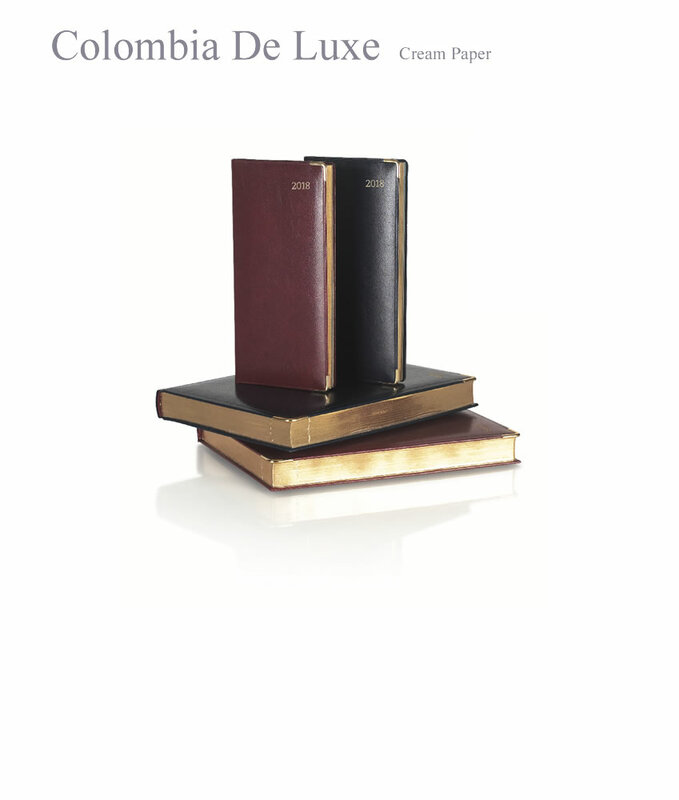 Classic cover design with a gold date design, gilt page edges, matching gilt metal corners and cream pages. Ivory Matra Flexible. 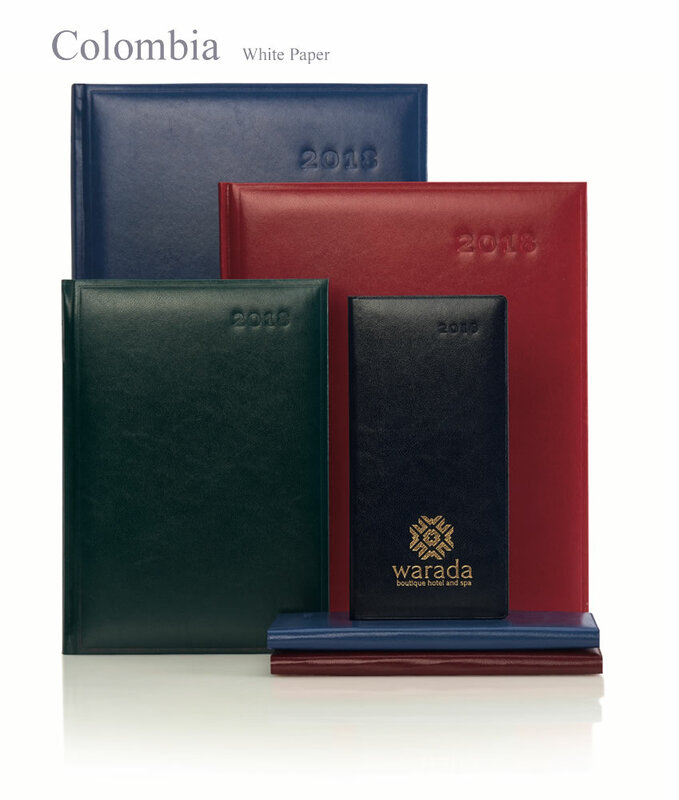 A flexible cover bound in fluent matt finish matra with coordinating closure band. Peru. 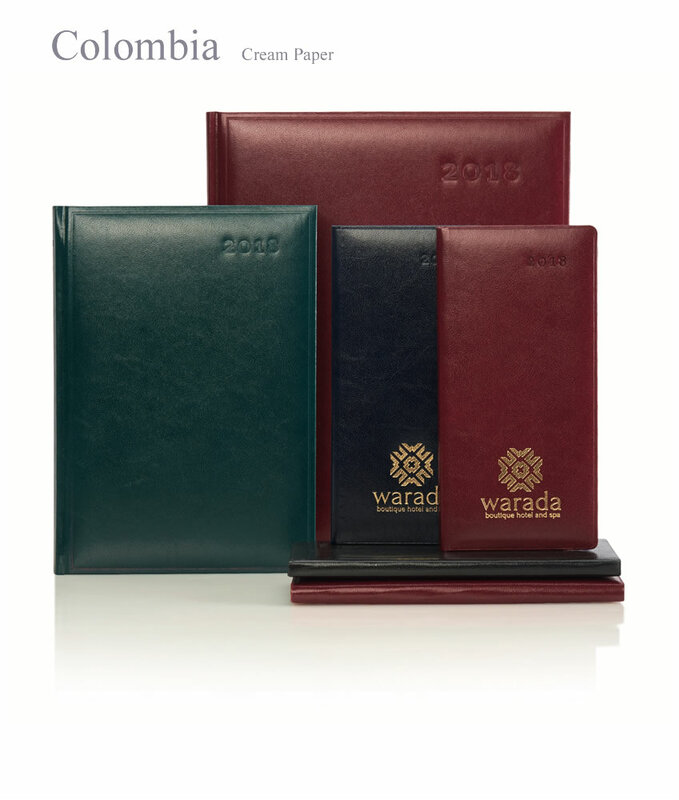 A durable grained effect cover material with a discrete blind embossed date design. The 2019 Peru specifications will be added shortly. For details/orders, please contact us directly with your requirements. Rio. This classic soft look and feel PU is used to cover this now traditional and popular product. Ideal for blind embossing for that understated look. Padded front and back cover standard on the desk edition.